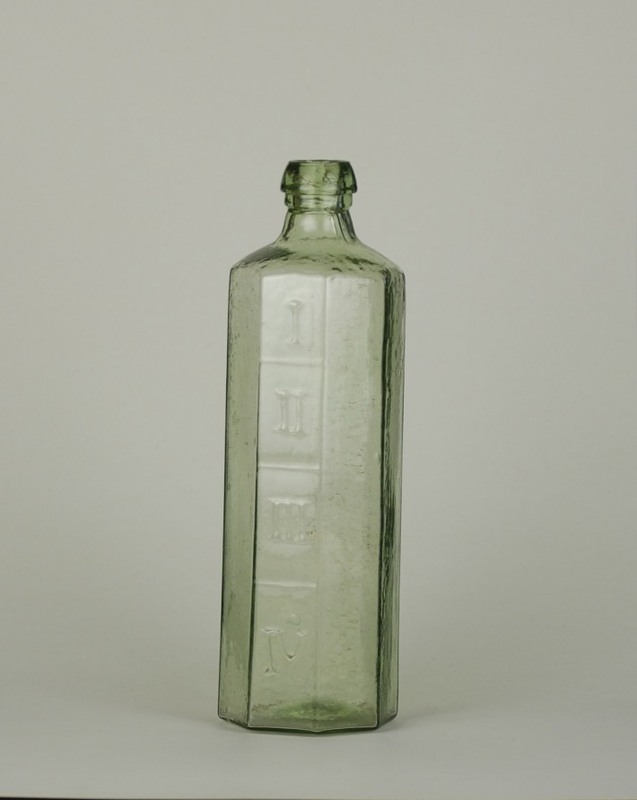 This bottle has a cylindrical shape with a flat base and a Codd stopper inside. It is embossed with the words: Demerara Ice House, Proprietors D’Aguiar Bros and a trade mark of a hand with a heart on it. Demerara Ice House Hotel, is located in Georgetown, Guyana, and was purchased by the D’Aguiar Brothers around 1907. 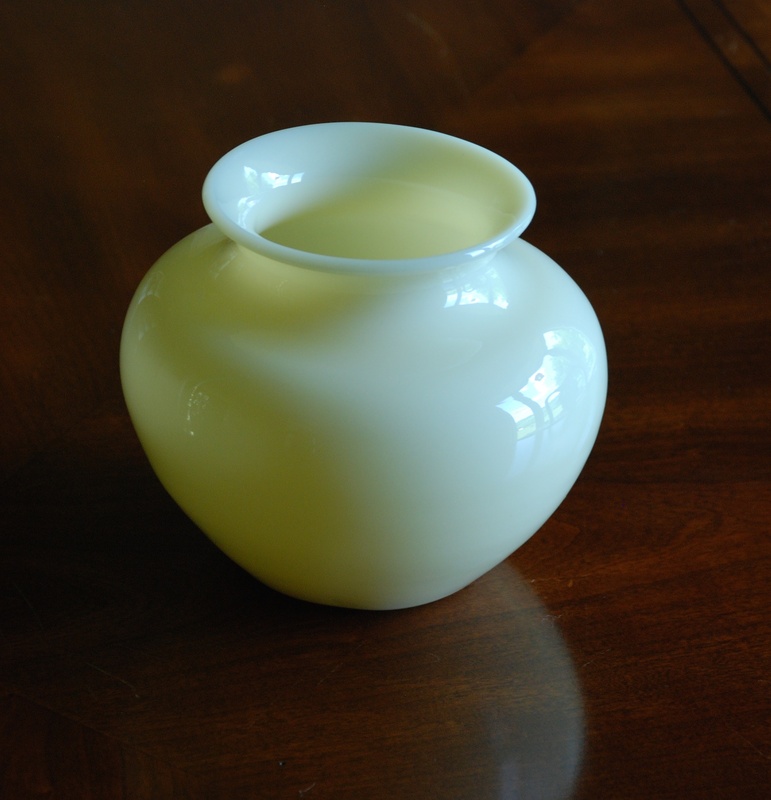 It is called a Codd Bottle because of this type of closure in the neck. Hiram Codd, an English engineer in 1872, patented a bottle filled under gas pressure which pushed a marble against a rubber washer in the neck, creating a perfect seal. It was mainly used for mineral effervescent water. This is a fire grenade made by the General Fire Extinguisher Co. in NY and was called the Harkness Fire Destroyer (1871-1892). A fire grenade is a fire extinguisher in a glass bottle. Containers like this one held liquid chemicals and were thrown at the base of the fire so the bottle would smash and release the chemicals, putting out the fire. This dark blue bottle still contains the extinguishing fluid of an unknown composition. Early ones used salt-water, and ones made after 1910 used mainly carbon-tetrachloride which was inexpensive and effective. 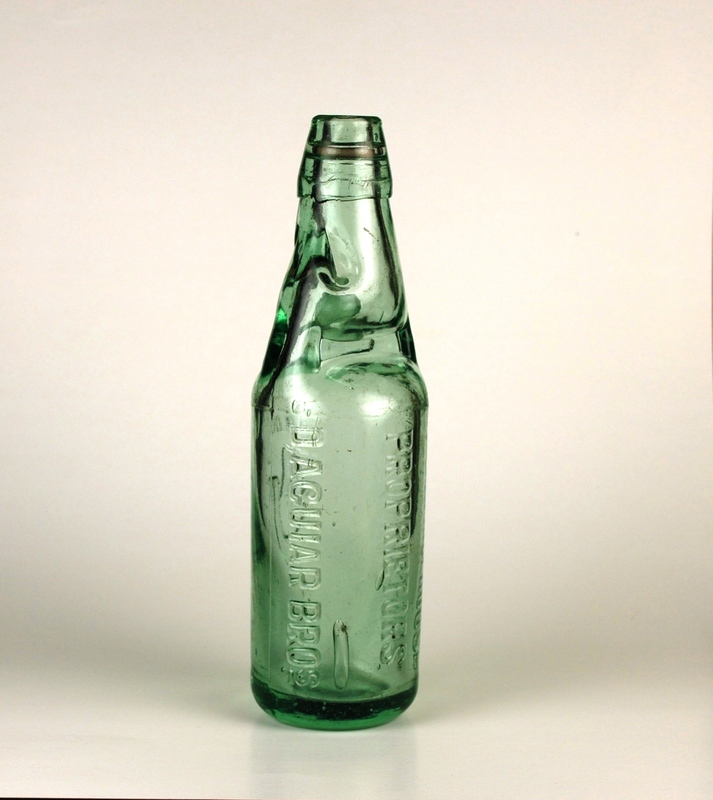 After 1950 carbon-tetrachloride could no longer be used in glass fire grenades because of its chemical toxicity. Exposure to high concentrations of this damages the nervous system and internal organs. Additionally, when used on a fire, the heat can convert CTC to Phosgene gas, formerly used as a chemical weapon in World War One. 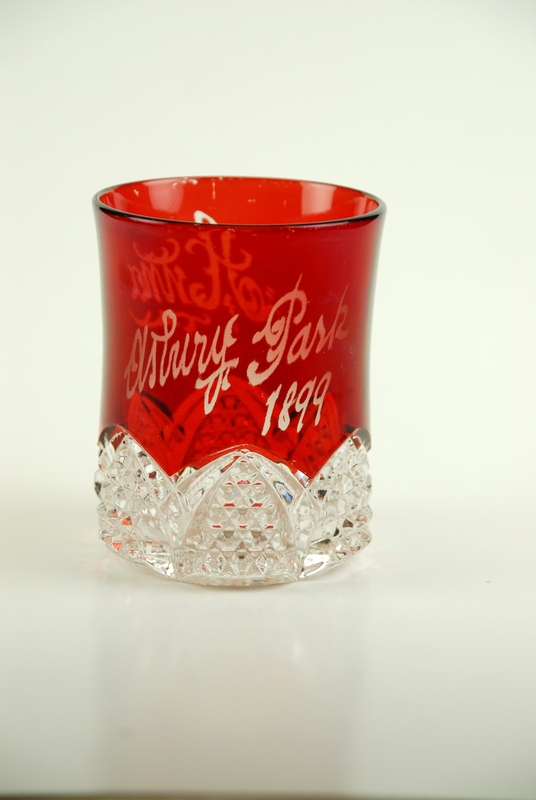 This example is a popular commemorative glass from the Victorian Era with the date of 1899, city Asbury Park (NJ), and name. There are many glasses like this with different place, dates, and names. 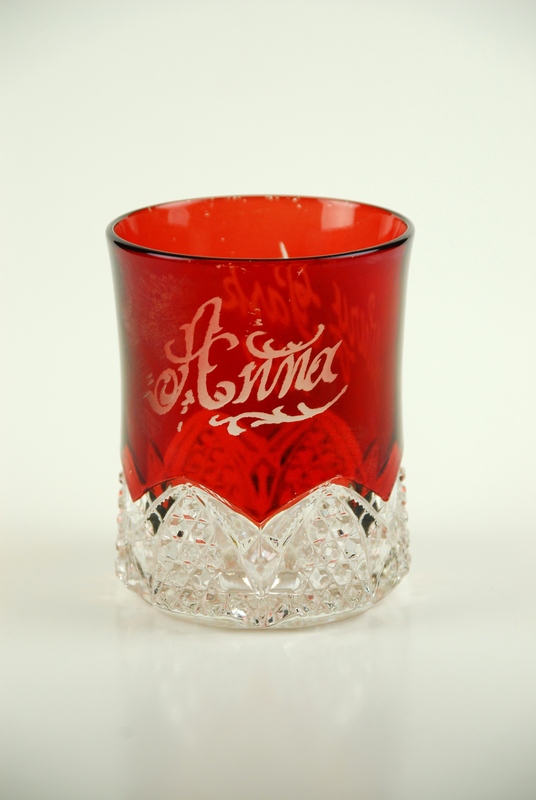 This one is important to me because my Grandfather at age 23 gave it to his new bride Anna. 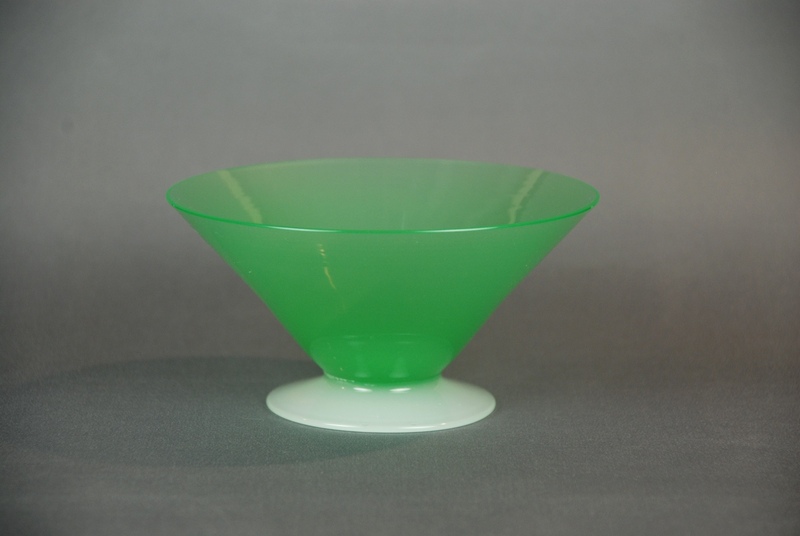 This heat resistant glass tea pot was made by H. C. Fry Glass Company in Rochester, PA. 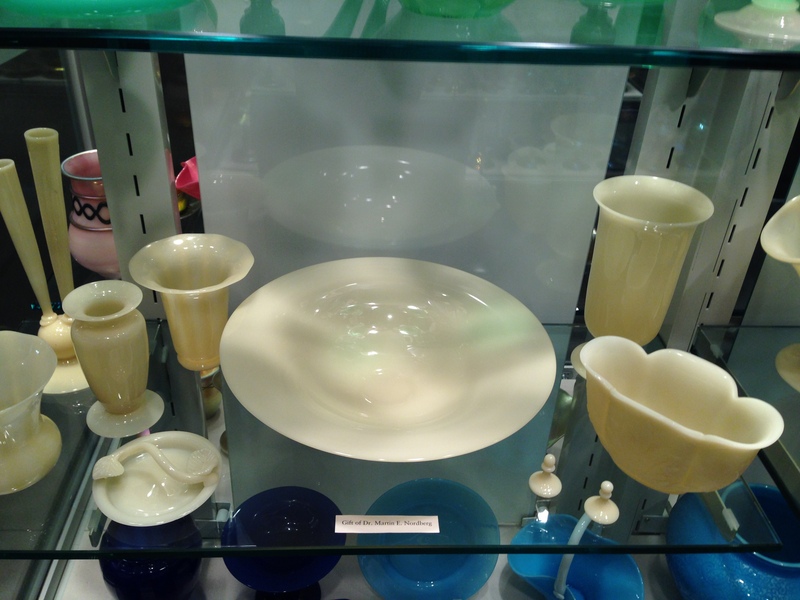 This company made complete dinner sets, tea sets and a large variety of heat-resistant oven glassware from 1916 to 1930 under a license from the Corning Glass Works.